Once you have a few harvests from your urban tower under your belt, you are ready to expand and look into other things you can grow in containers just to mix it up if you want to. We already talked about adding things like herbs to your window sill so that you have more room for your greens in the tower. Of course growing a few more salad bowls to get bigger harvest and a larger variety is always an option. If the gardening bug has bitten you though, that quickly won’t be enough. You’re ready to head outside and dig in the dirt. You want to grow more than a few salad greens and herbs. Here’s where you want to start. As you work through the list below, you’ll progressively go deeper into gardening. Of course this is just an overview. Use the ideas as you see fit and feel free to mix and match to fit your own personal needs. The first thing you may want to try is growing some tomatoes, cucumbers, or strawberries in containers on the patio, porch, or even balcony. They don't’ take up a lot of space and are a great option for people who want to go into gardening but don’t have the space. I have my lemon tree in a large container on my patio. It’s also a great option when you’re ready to up your food production, but you’re not quite ready to go full force into gardening. Patio containers don’t need a lot of time or effort to take care of. There isn't a lot of weeding and you can water your vegetables as you water your other patio plants. Once you get to the point that the small pots sitting on your patio aren’t quite cutting it anymore, consider making or buying a plant box that you can set in your yard and fill with soil. It's a great idea for the bees as long as you use organic and don't spray any pesticides. It’s much easier to setup and control than digging up your lawn and since it is a raised box, your vegetable garden is contained and looks pretty. Fill it with good soil, peat moss and compost and your vegetables will thrive. 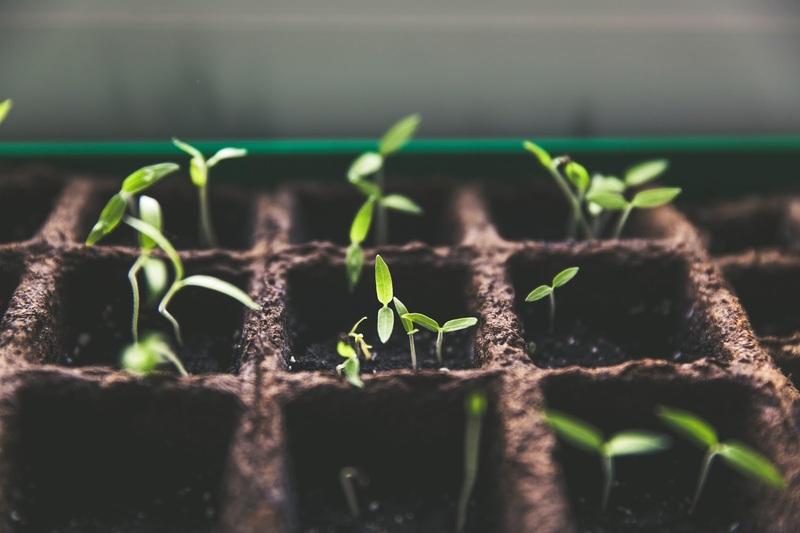 You can grow anything from lettuce and herbs to tomatoes, cucumbers, peppers, onions, carrots, squashes and beans in your plant boxes. When you’re ready to expand, add another box. Hay bale gardening works similarly and it’s another way to garden that’s gained a lot of popularity in recent years. The basic idea is to get a bale of hay, sit it in your yard and then push small indentions in, add a little soil and plant your seedlings. As the hay bales decompose, they provide food for the plants, while the bale itself keeps things off the ground, making it easy to water and care for your plants. And since they are off the ground, you don’t have to worry much about weeding or soil borne plant diseases. The last step in your journey to become a full-fledged gardener is of course to start digging up part of the lawn in the backyard to create a garden plot. Having a larger garden outside has several big advantages. You can grow a larger variety of vegetables (and some fruit) and of course end up with a more plentiful harvest. Quite a few types of produce don’t grow well in pots like green beans for example. Quality and quantity are your biggest advantages of starting a garden. The downside of a large garden is that it’s quite a bit of work to plant, weed, water and then harvest. And depending on how much you’re growing, you may also need to put up some of the produce before it goes bad. In the end, the hard work is well worth it though and it does count as exercise. For me, I prefer my urban garden in a tower. We have bundles and some families and communities have purchased these. My daughter's school was given a grant and purchased a Science Lab Bundle for school gardening all year, and they love it!